Horace Belton was a running back out of Southeastern Louisiana. Belton joined the Montreal Alouettes in 1977, playing two regular season games. Belton also played for Montreal in the 1977 playoffs including the 1977 Grey Cup which Montreal won, beating Edmonton 41-6. In the 1977 Grey Cup, Belton had 12 carries for 36 yards (longest of 8) and caught 4 passes for 30 yards and a longest of 8 yards. 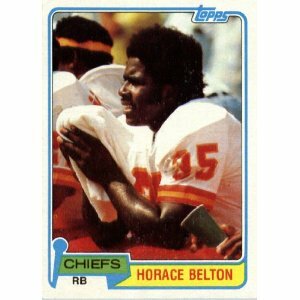 After leaving Montreal, Belton went on to play four years (1978-81) in the NFL for the Kansas City Chiefs as a running back and kick returner.